Hello Friends I would like to share scenario on usage UCA’s in BPM. 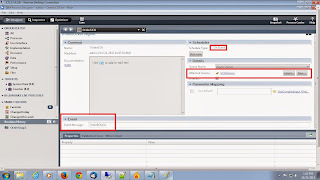 This Scenario aim to know about how to integrate existing web application with new Process App, An external user submits the Order from web page and it will invoke Process Application in process center and send Order id back to end user. The UCA creates a bridge between external systems and business process definitions (BPDs). 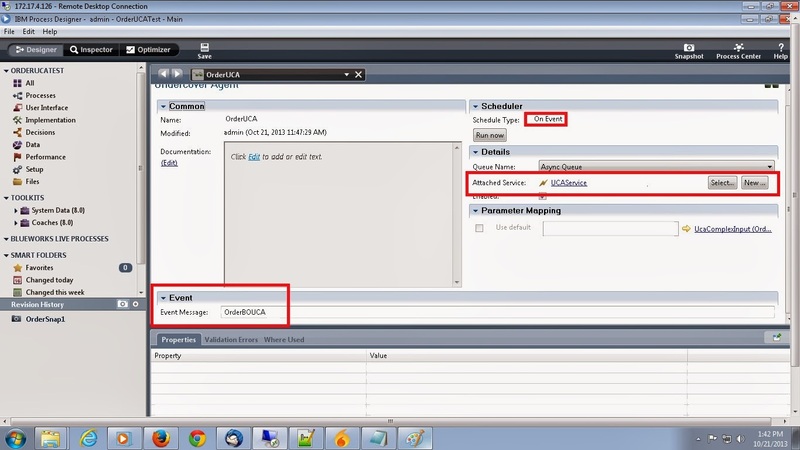 You can manage inbound and outbound communication with external systems using UCAs. The UCA listens for events from external systems through a message or specific schedule. 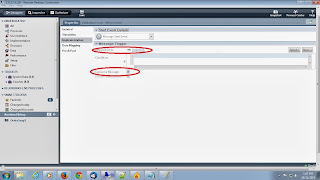 If you want to post a message to the JMSlistener, the Event Manager has a defined XML message structure that it must receive from an external system. The UCA is responsible for firing either a Start Message Event or an Intermediate Message Event that is contained within a BPD. Async queue: Allows Event Manager jobs to run at the same time. SYNC_QUEUE_1: Forces one job to finish before the next job can start. Bydefault, three synchronous queues are available. SYNC_QUEUE_2: Forces one job to finish before the next job can start. Bydefault, three synchronous queues are available. SYNC_QUEUE_3: Forces one job to finish before the next job can start. By default, three synchronous queues are available. All of these queues gets initialized at the time of server start up. We can call it as event handler service,In this application Created general system service with name “UCAService” which transfers data(Order Details ) from external app to Process App as shown in below fig. An event handler service is nothing but a General System service, which is the heart of a UCA. This service receives the data from external stimulus and sends it to a BPD process through the UCA. You need to define and map output data to input data explicitly for this service, otherwise the output data would be null. The data defined for this service should be same as the input data required by the BPD process. 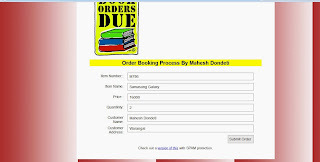 This BPD receive order details from external webpage and do business logic and returns Order Id to end user. 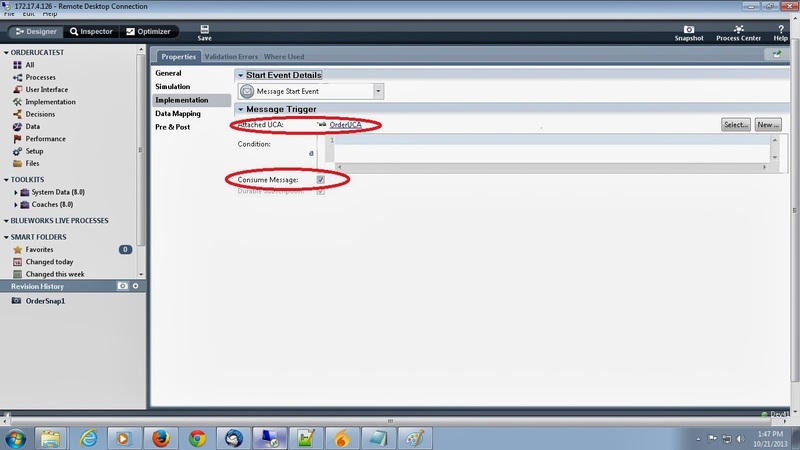 Used Message Start event to receive the events from web application and configures created OrderUCA as shown in fig. Finally Expose this BPD and Business Data to Start for required user in my case AllUsers. snapshot: Process snapshot name; created through Process Center. in this case OrderSnap1. ucaname: UCA name; available in the UCA editor in Process Center.in this case, OrderUCA. processApp: The process name; this acronym is provided when you create a new process app.in this case ODUT. event: The event name; in this case, OrderBOUCA. key : The input object name defined in the UCA service. ( UcaComplexInput). For more information about MessageStructure go through below link. 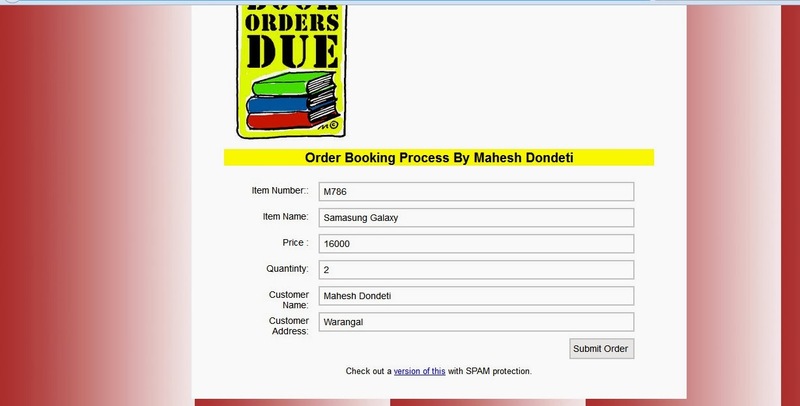 Click on Submit Order Button on below webpage .And check the created new Process instance id in Inspector view in Designer or By Login into Process Portal. We can also monitor and clear eventQueues by using Process Admin Console.